Hard. This attraction is suited to experienced cyclists who are extremely fit. 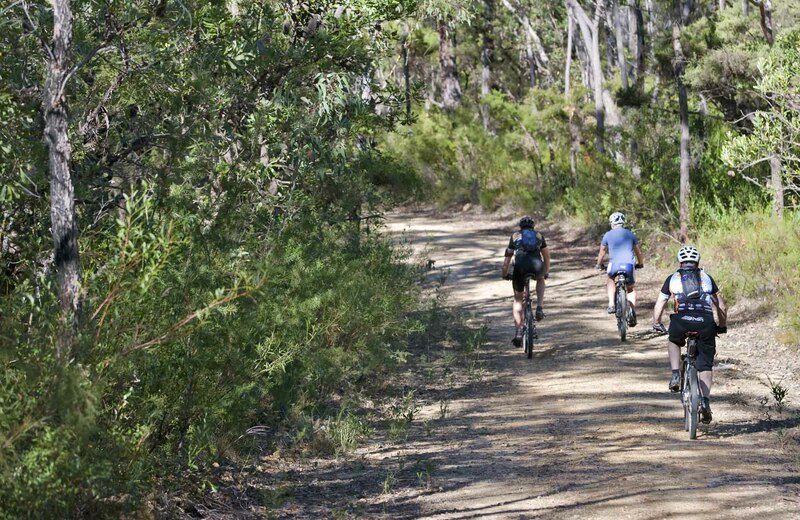 An exhilarating cycling route that takes you deep into the central wilderness of Blue Mountains National Park, Andersons trail descends into unspoilt bushland and links to Woodford - Oaks trail for an added challenge. With ultra steep sections, this loose gravel trail is an adrenalin-fuelled adventure bound to challenge even those most experienced at mountain biking. Winding through steep gullies, scenic creek crossings and dense scrub, you might be sharing the trail with a resident echidna or swamp wallaby. Breathe in the fabulous aroma of the peppermint gums as you cycle past the open forest. With the option to stay a night at Murphys Glen campground, you can turn a cycle ride into a heart-pumping adventure weekend. Keen riders can start this trail from Wentworth Falls train station. Take a virtual tour of Andersons trail captured with Google Street View Trekker.